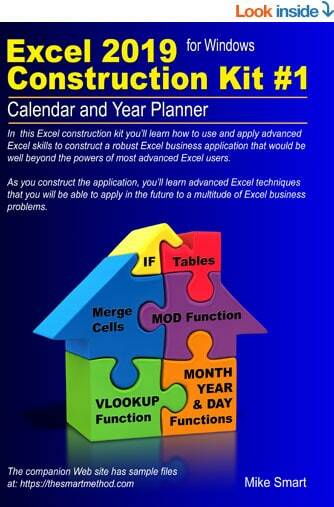 The free Basic Skills Excel tutorial will get you started with Excel fundamentals. Even though it is a basic skills course you’ll still master many skills that professional Excel users are unable to use. It is available entirely free as an e-book. The Basic Skills course contains the first 43 lessons from the Essential Skills course and will take most users 5 hours or less to complete. 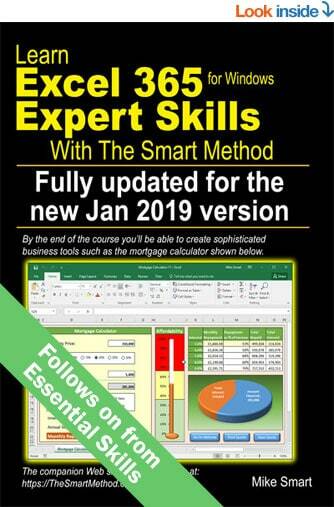 This free e-book is also available for Excel 2019, Excel 2016, Excel 2013, Excel 2010, Excel 2007, Excel 2016 for Apple Mac. and Excel 2019 for Apple Mac. If you need Excel skills to get a job you should begin with this book (it also includes all of the Basic Skills material). Even if you’ve never used Excel before you’ll have no difficulty completing this book, most learners can complete it in two days or less. The Essential Skills book will give you all the skills an employer would expect. 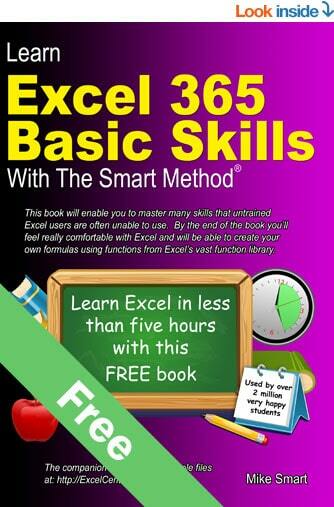 By the end of the book your Excel skills will be better than most office workers. Also available for Excel 2019, Excel 2016, Excel 2013, Excel 2010, Excel 2007, Excel 2016 for Apple Mac and Excel 2019 for Apple Mac as both printed books and e-books. 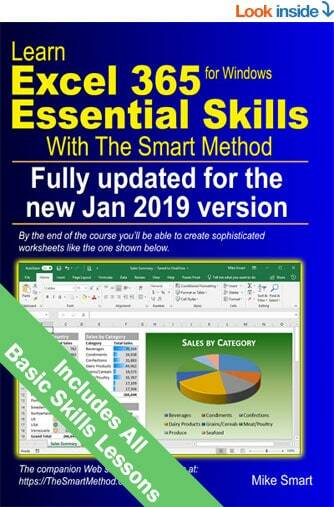 Also available for Excel 2019, Excel 2016, Excel 2013, Excel 2010, Excel 2007 and Excel 2016 for Apple Mac and Excel 2019 for Apple Mac as both printed books and e-books. 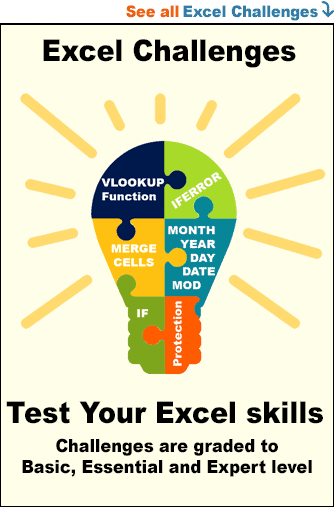 You’ll need to invest a lot of your time to develop Excel skills. It is really important that you choose the very best materials to learn. Here are some good reasons why you should choose The Smart Method.